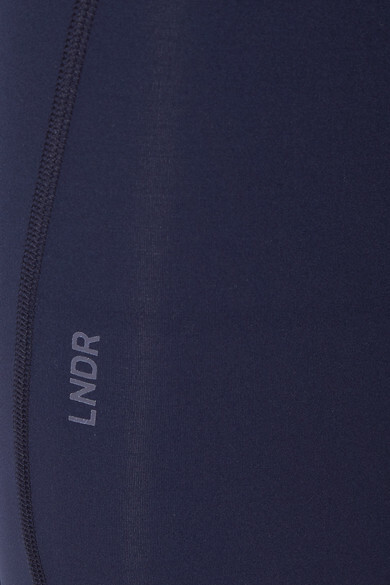 LNDR's 'Limitless Night' leggings are made from the brand's signature premium stretch fabric that wicks moisture and provides a supportive compression fit. This pair has a flattering high-rise and zip fastening back pocket to store your keys or a gym pass. Shown here with: LNDR Sports bra, APL Athletic Propulsion Labs Sneakers, B&O Play Headphones.